(May 2016) In December last year, a small group of Tikopians met with translation consultant Nico Daams and Fr Walter Tamasia to discuss the reviewing process of the translated New Testament. A few months earlier they had participated in recording the Gospel of Luke, and had found there were many places that needed to be corrected. The original draft of this translation is already 30 years old, so it was no wonder they found many places where the language had changed. 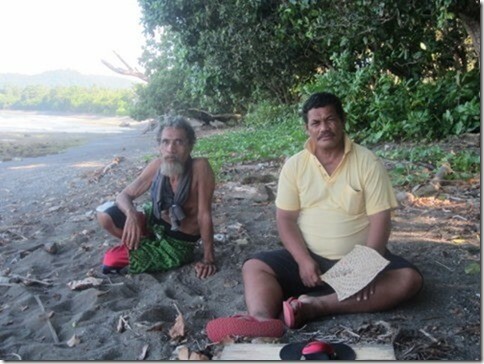 One of these reviewers, Nathan Nukusaumua, had recently been appointed as chief of the Tikopian community in Honiara, and as he is retired he is keen to use his authority and free time to serve God in Bible translation. Two of the younger team members were set up with the translation software, and the expectation was that this small team would be reviewing the Gospel of Luke in Honiara. About a month later Chief Nathan wrote to Nico that he had gone to the large Tikopian settlement of Nukukaisi on the neighboring island of Makira. Although he had given a group of about 25 reviewers copies of the Gospel of Luke, in the end he found it worked better to write each verse on a blackboard, discuss it with the group, make corrections and then write these down in his master copy. They held meetings three times a day: mornings, afternoons and evenings, each time with a different church group. Back in Honiara he then processed these corrections with a small team including the two young Tikopians who recorded the changes on their laptops. By the time Nico arrived back in Honiara last month they had completed this process. To facilitate the reviewing process, Nico had brought with him a small laptop to be used by Chief Nathan. This will help him tremendously, saving him the effort to write it all out by hand on the blackboard, and the corrections will be entered directly into Paratext without the need for someone else to do this later. While Nico was in Honiara, Nathan asked him to accompany him to Nukukaisi, in order to strengthen the resolve of the Tikopian community there, and to accept him as the official person in charge of the reviewing process. 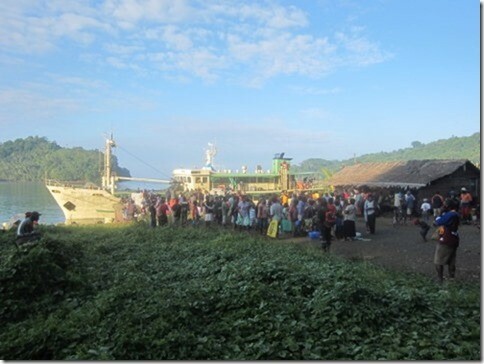 The trip by ship takes a day to get there, a day there, and then another day travelling back to Honiara on the same ship. The next meeting with the Nukukaisi reviewers is now planned for September, and the plan is that Nico and Nathan will spend a week there. Meanwhile Nathan is planning to make a similar trip to Nukufero, another Tikopian settlement in the Solomon Islands. After many efforts to get the reviewing of this New Testament started, it is finally happening!